Not a truffle recipe, but they grow on our farm, and a combination of dried bolete’s in a truffle rissotto is eagerly anticipated. Slice caps ~7mm thick, soft stems crosswise, and set aside dry woody stems for use elsewhere in a stock base. Heat oil in frying pan on low heat, add butter and melt together. Increase the heat, and add shallot and garlic, fry for around a minute. 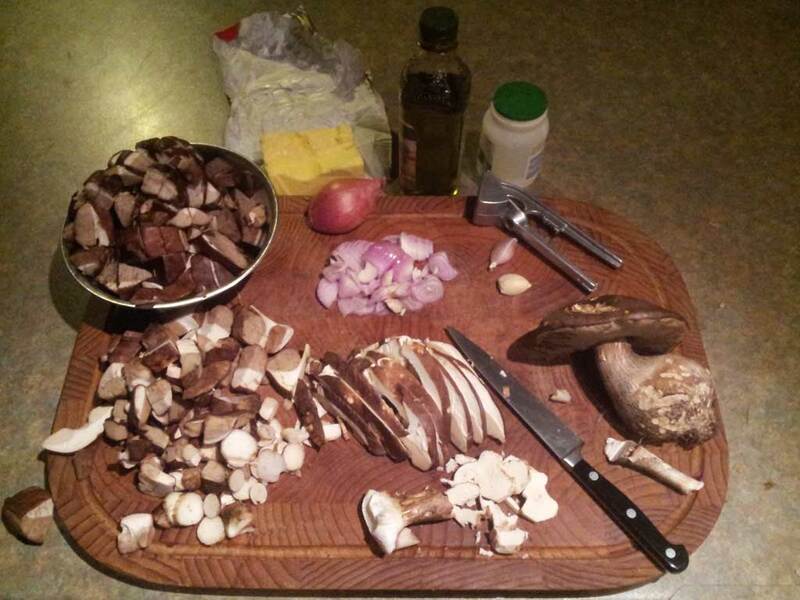 Add the boletes and cook with occasional stirring until most of the boletes have softened/changed colour. Add the cream and generous pinch of salt and stir lightly for a further minute until it visible changes to a sauced consistency. Serve Hot. Divine with gnocchi, or combines wonderfully with mashed potato and roast lamb. Previous Previous post: Truffle hunts, foot traffic and biosecurity.